Performing Jazz & Soul standards with a Funky twist! Jazz, Funk, Soul, Blues and Bossa Nova performed as a vocal/guitar duo by Juanpa & Johnny. We perform every Friday at The Tram Café. This is a very intimate venue, so best get there early on a Friday! 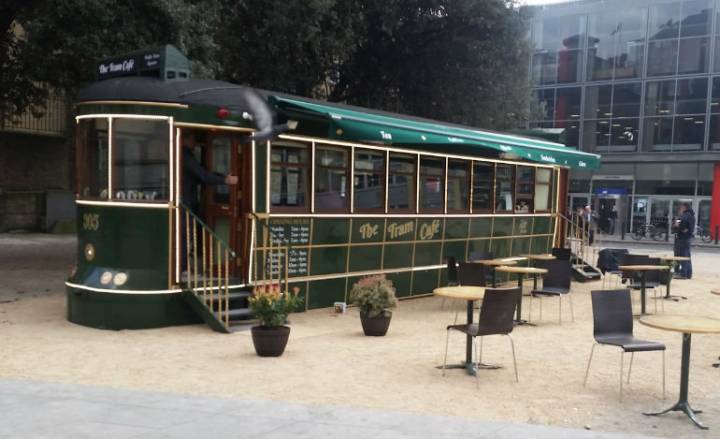 The Tram Café is one of Dublin's most unique venues for live music. Originally built in the US in 1902. Totally refurbished back to it's original condition, and opening in 2016, with it becoming a home for live Jazz, Soul and Latin music since July 2018. You can find music at this venue (holds 50+) every Friday from 5.30pm, and every Sunday from 2.30pm, with great food, coffee and wine available and it's always FREE admission! See www.thetramcafe.ie for more details, or call (086) 0420273 for table bookings.